It always makes me feel good inside when I can do something nice for someone else. Even if I’m having a bad day, sometimes just making someone else smile is enough to lift my spirits. I remember watching the movie Pay It Forward back in 2000 and it really hit home with me. I realized that the little things you can do can make a big difference in another person’s life. Paying it forward doesn’t have to be a huge effort either. Here’s a few simple ways that Canadians can pay it forward this holiday season. 1. Pay for the person’s order behind you at the drive-thru. I read on the news about a “Pour It Forward” movement at Tim Hortons in Winnipeg. Drivers were paying for the order of the person behind them. 2. Donate non-perishable food items to your local food bank. 3. Let the person in line behind you at the grocery store go ahead of you if they only have a few items to pay for. 4. Drive courteously. If someone is waiting to turn left, let them go if its safe to do so. 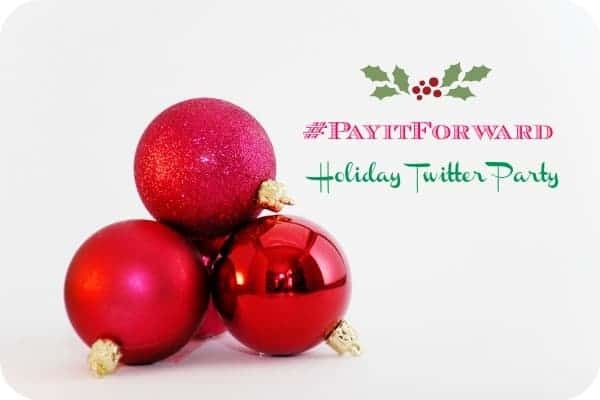 On Wednesday, November 28th, I’ll be joining Butterball Canada for their #PayitForward Holiday Twitter Party. We will be chatting about the ways to spread the holiday spirit and giving away prizes! The prizes are $50 Butterball Gift Certificates and there’s a special catch! Every winner will receive a 2nd $50 Butterball Gift Certificate to pay it forward to a friend, family member, food bank or whomever they would like to give it to! How awesome is that? What a great idea! Can’t wait!